Hajiya Madugu is a seasoned and versatile educationist both by training and practice. In addition to various educational qualifications, Hajiya Madugu has spent over 30 years as a classroom teacher and administrator. Born in Zugurma, Mashegu Local Government on the 20th of March, 1960, she started her formal education pursuit at Turaki Primary School, Sokoto. In 1974, she enrolled into the famous Government Girls College, Minna, from where she obtained her West African School Certificate in 1979. Fascinated by the role and contributions of teachers in the development of the society, the young party proceeded immediately to the College of Education, Minna for a Nigeria Certificate in Education (NCE) in Home Economics. She was to later obtain a Bachelor of Science degree in Education with emphasis on Home Economics, in 1995. Still insatiable in furthering her education, Hajiya Fatima enrolled for a Master’s in Educational Administration from the National Open University of Nigeria in 2013. Aside from her primary responsibility as a classroom teacher, Hajiya Madugu was at various times head of the Department of Economics at Government Day Secondary School, Minna; Vice Principal (Academics) at Day Secondary School, Bosso and Day Secondary School, Tunga, respectively. She was later promoted to the post of Principal which she held at the government Girls Secondary School, Minna and her erstwhile station, of Maryam Babangida Girls Science College, Minna. Until her appointment by Governor Abubakar Sani Bello to serve on his cabinet, Hajiya Fatima Madugu was a principal and was at the level of Deputy Director with the Niger State Science and Technical Schools Board. She was also a member of the Executive Council of the All Nigeria Conference of Principals of Secondary Schools (ANCOPS). Since 1983, Hajiya Madugu has been a member of the Home Economics Teachers Association of Nigeria (HETAN). In 1998, she was elected as the Vice President of the Association. 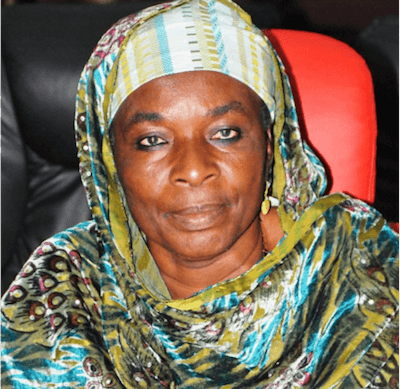 Away from professional engagements, Hajiya Fatima Nwoye Madugu has been a member of the Kauna Cooperative Society and the Federation of Muslim Women Associations of Nigeria (FOMWAN) since 1995.